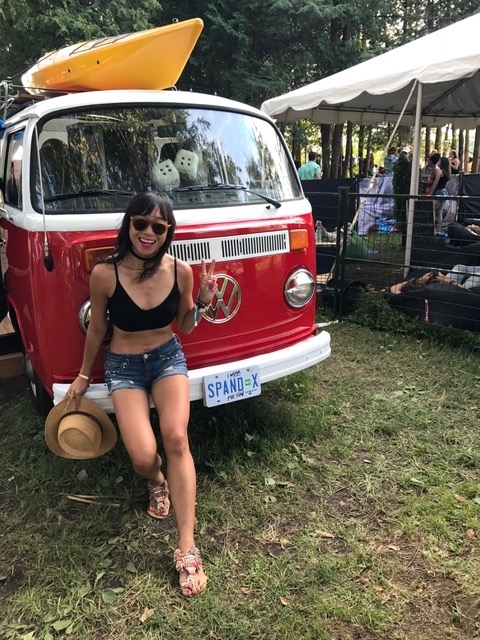 After going to the first year of WayHome Arts & Music Festival by chance (I happened to win tickets), and then loving it so much, I planned a road trip vacay to attend WayHome last year, I was thrilled to get tickets to this year’s festival to cover it once again (I’d been already feeling FOMO in the time leading up to this past weekend, having had decided to skip this year to be more grounded and have some quality time at home). But I lucked into some wristbands so out went the plans to kick around home and off to Oro-Medonte it was! 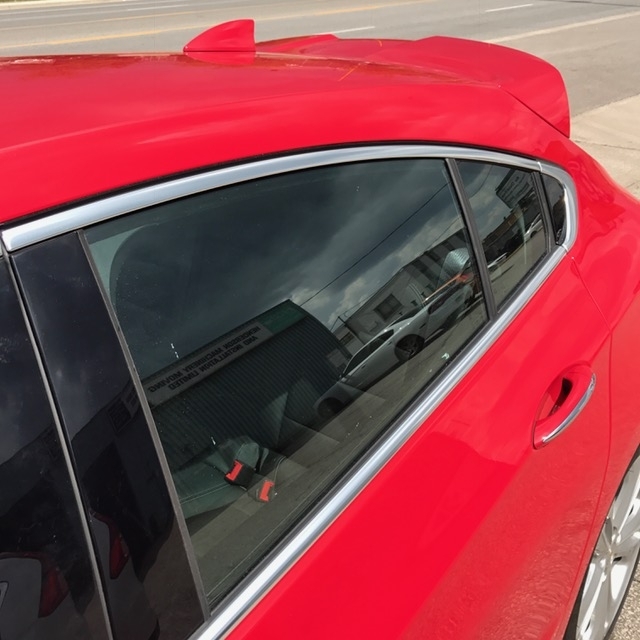 Thanks to General Motors Canada, I was able to test out a Chevy Cruze for this road trip. It was exactly what I had in mind: something zippy and easy to drive around the city, with a decent sound system (we would be listening to music from artists performing at the fest for the drive up, after all, made easy thanks to the car’s Apple CarPlay). 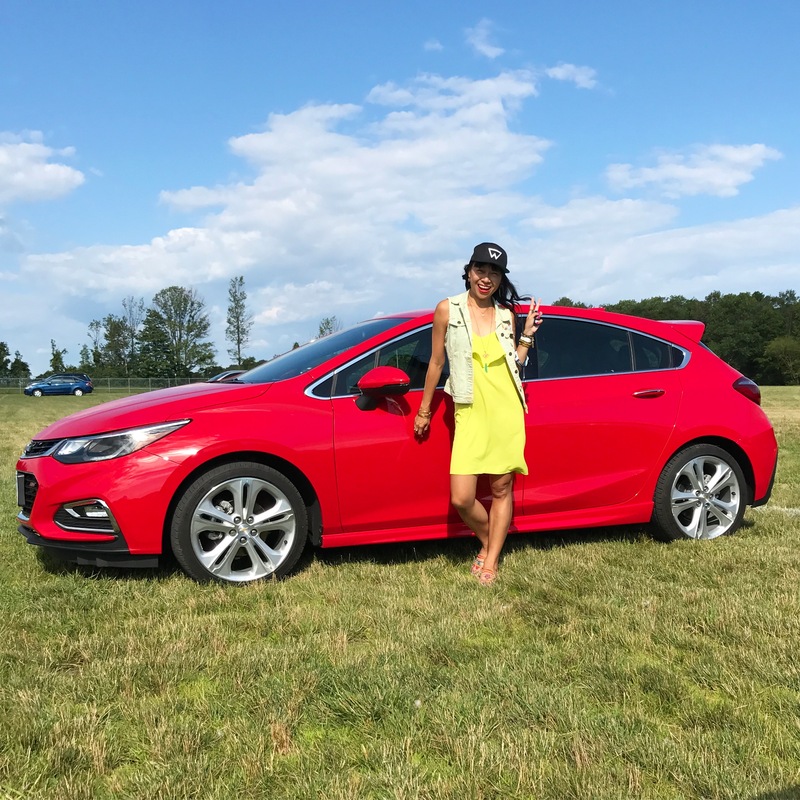 And I essentially did a happy dance when I saw the bright pop of red of this Cruze, which seemed positively adorable after driving a series of crossover SUVs such as the Chevy Equinox, Buick Envision and GMC Acadia this summer! I’ve never really been a fan of hatchbacks but I think this one is cute and sporty. And I’ve also never really been a particular fan of red for cars, but this one looks great in this colour. My fave features of this Cruze: It was so damn easy to park. I’m not a fantastic parker, so getting those SUVs into a spot is always trying for me, but this Cruze, I was able to pull right into any spot and rarely had to make adjustments. Also, it features wireless charging, which I think seems super convenient (hello, definitely need a fully charged smartphone while at WayHome), and it definitely made me want to get the proper adaptor for my smartphone so I could more easily charge it in this vehicle. Not only did I drive it north to Burl’s Creek for the fest (where its red paint job made it super easy to find in the field of parked cars! ), but I also used it to drop my dog, Billie Jean, off for dogsitting, and drove some friends to go try out some amazing Hakka food in Markham. 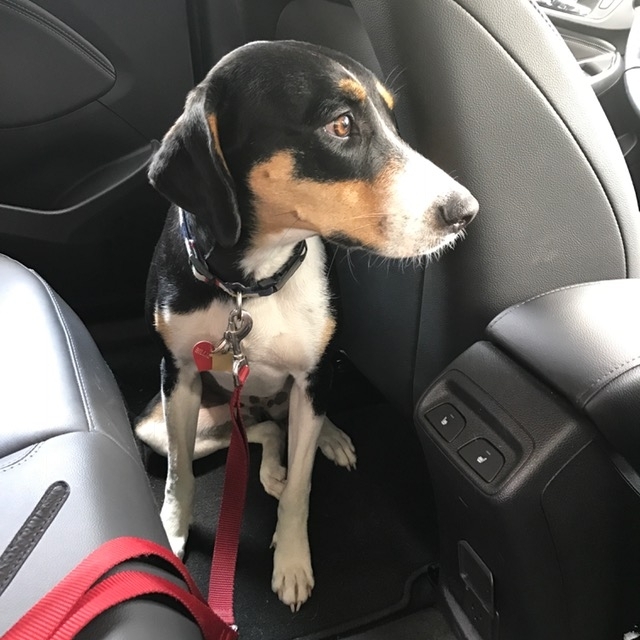 So this adorable zippy car was a good size for fun outings within the city, and it had enough space to pack up my hound and all of her essentials, such as her crate and giant bag of kibble. And the backseat works for her just fine as you can see here. She usually prefers to get cozy on the floor of the backseat (versus on the backseat itself) when we drive anywhere. 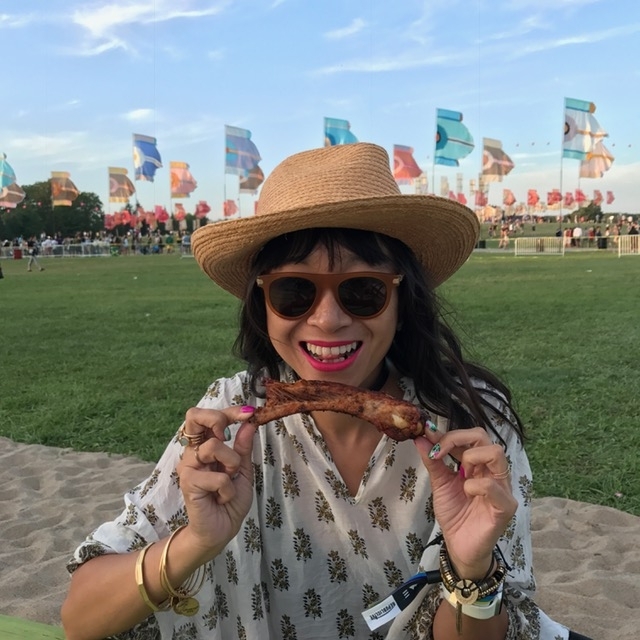 As for WayHome? This year was fun, as it always has been. 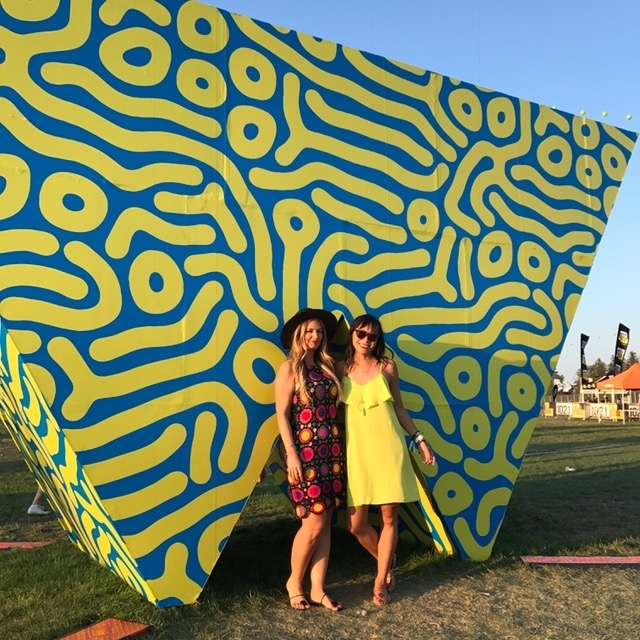 I will admit that I don’t know a lot of musical acts in general, so I often only recognize a few names, but this year, I knew even fewer, but that’s fine, as I knew I’d enjoy Solange and Frank Ocean, and I was happy to discover artists I wasn’t too familiar with. Turns out I like Daniel Caesar, Imagine Dragons and Mura Masa, and I’m going to be checking out more of the artists we caught such as Banks. 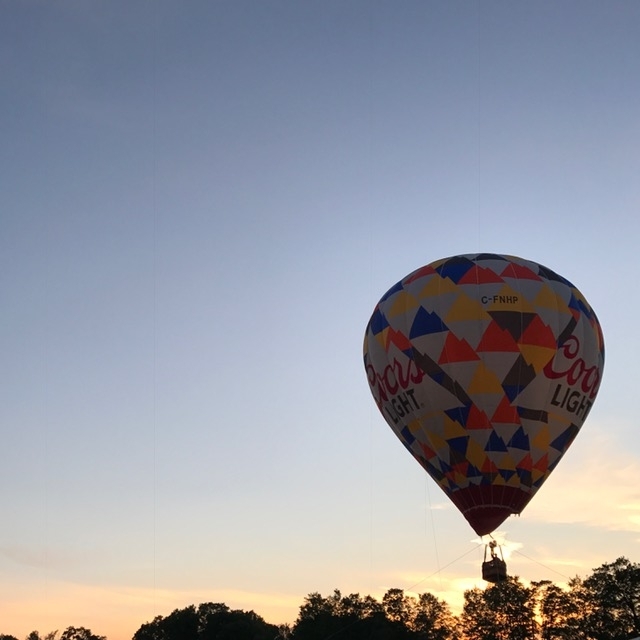 While the first year, there was a billowing balloon made out of a beautiful artistic fabric, and last year a Ferris wheel, I felt this year a large scale highlight of that scale was missing (although, yes, there was a Coors hot air balloon). There were cute vendors with pretty jewelry and a DIY flower crown vendor (which I so wanted to do, but I didn’t trust my non-crafty hands to make a pretty one!). I think (but am not 100 percent sure) that there were fewer food truck choices this year but we never felt like there was nothing we wanted to eat and happily chowed down on both Barque and Food Dudes, and even tried that Colossal Onion when we bumped into a friend who had it (verdict: looks gross, but goddammit, that fried pile is delicious comfort food). 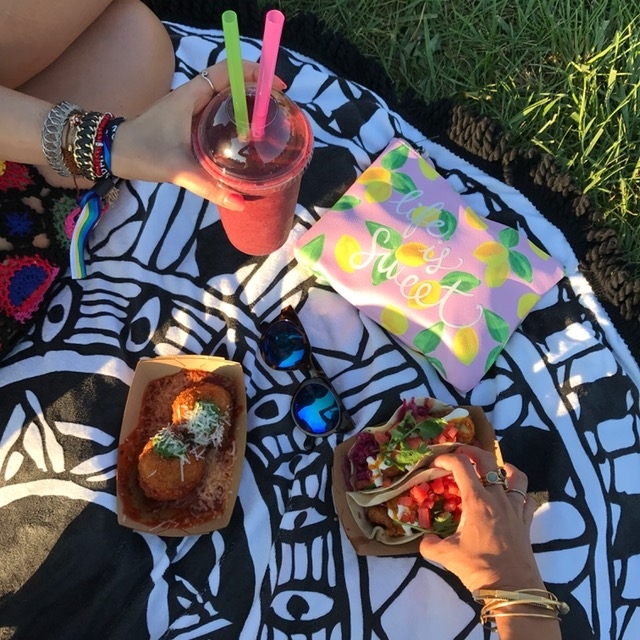 To help us feel we were balancing the heavy foods was the smoothie truck to save the day. And on the flipside, there are great cocktails to enjoy, like the rum punch and mojitos at Casa Bacardi, which was one of the liveliest spots all weekend long. 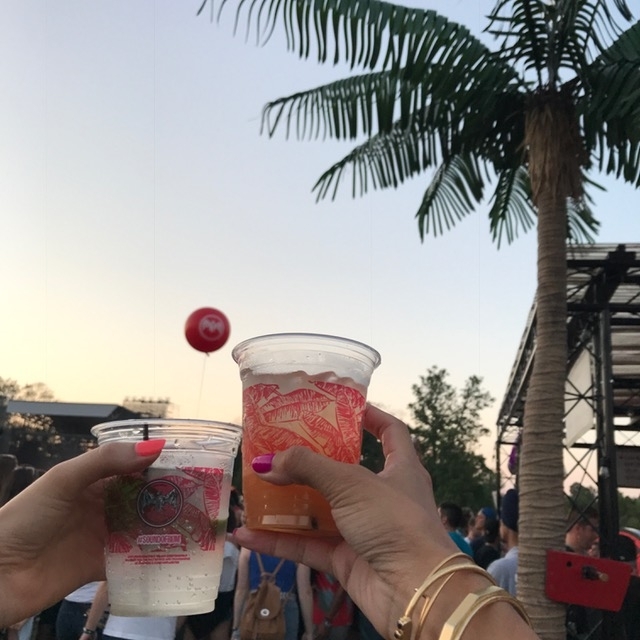 While Casa Bacardi wins my vote for liveliest, MEC had a great set up for chilling out, complete with hammocks, photo booth, shaved ice treats (missed out on those, doh! ), slackline set-up, and more. 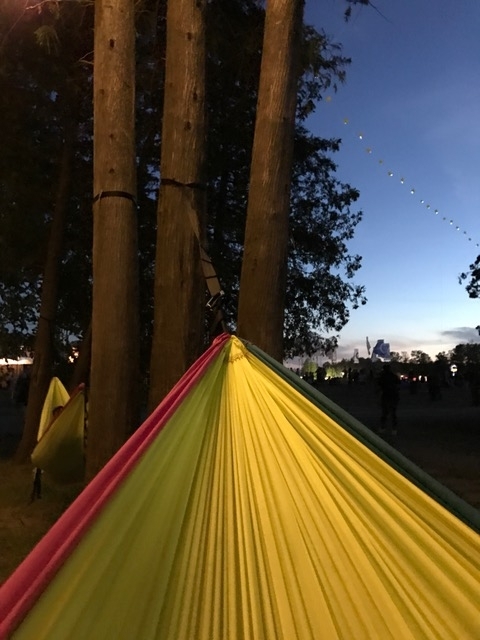 Those hammocks were in high demand and we practically did a happy dance when we finally lucked out with nabbing one on Sunday night as we listened to the last few songs of Tegan & Sara’s set from the WayBright stage. 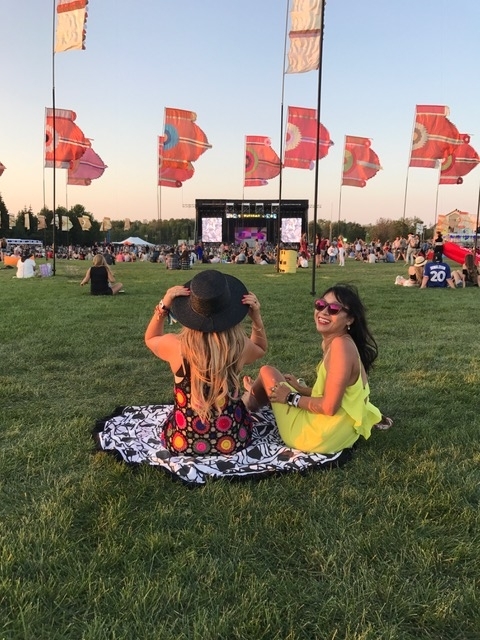 (And I haven’t posted any pics of the artists and groups because we chose to just enjoy the music lounging on the grass away from the fray up front, in case you’re wondering). 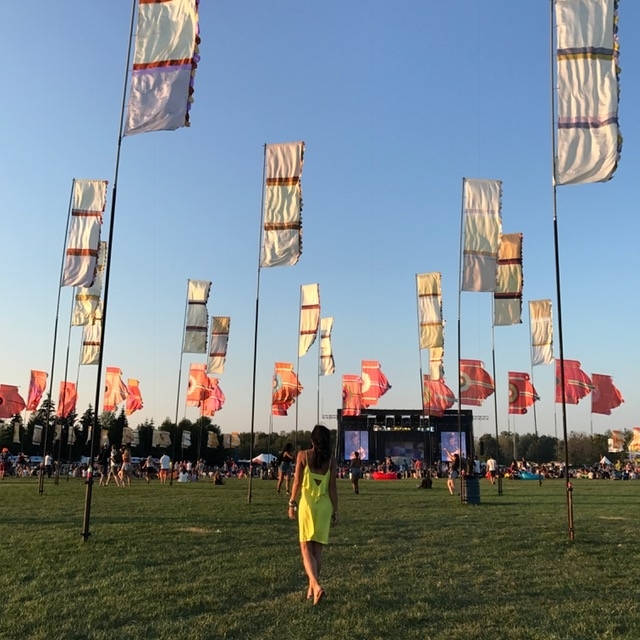 Another huge improvement at this year’s WayHome, and it’s actually something that made it a much more enjoyable WayHome weekend for me? Day parking was moved this year to the field near the entrance/exit, rather than the field that was a good and uncomfortable 25-minute walk along the rocky road through the camping area, which is where it was the first two years. This made it easier for us to drop off or grab something from the car in the middle of our eight-hour days at the festival. On the downside, parking is pricey (nearly $40 a day, I think it was the same for 2016, and it was free for year 1) and when we arrived Saturday (we skipped Friday), we had to wait in a long line to get our day parking pass (we had purchased online in advance), and were told we would have to wait in line again on Sunday for our Sunday parking pass, which is not the level of customer service I expect when you’re dishing out a hefty amount for parking. Thankfully, the lineup was short on Sunday. 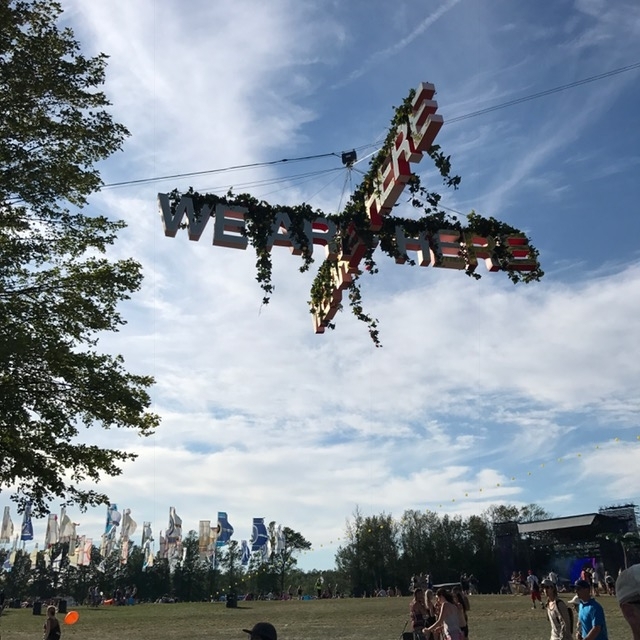 WayHome has become an annual tradition for me that I truly look forward to. You’re there surrounded by people having a good time; I’ve never witnessed any fights or drama and people are giving high fives to strangers. Everyone just seems happy to be there with friends and taking in the music and enjoying the summer weather. Looking forward to “finding my WayHome” next year! 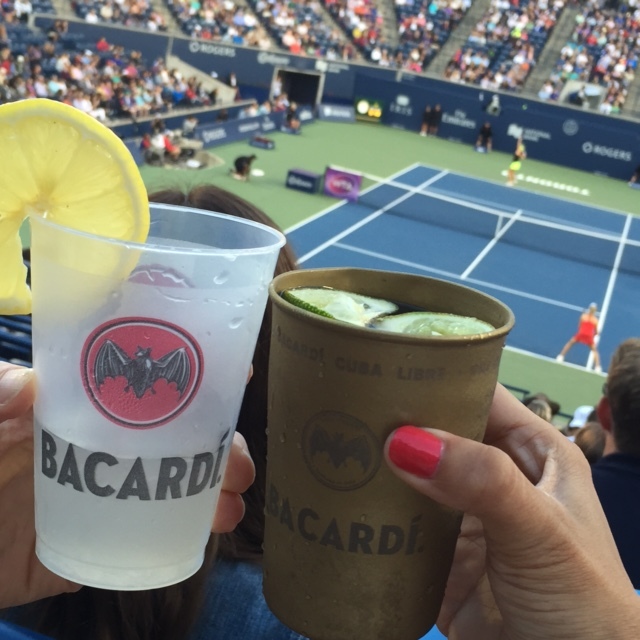 Last night, I was lucky to take one of my friends to the Rogers Cup in Toronto to watch the Bouchard vs Bencic match thanks to Bacardi Canada. 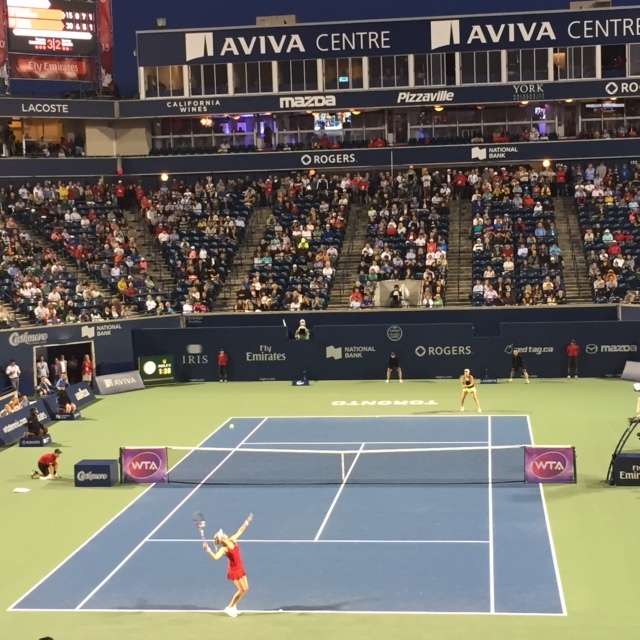 It was awesome to watch these strong female athletes play (I’d already caught a bit of Serena Williams in the afternoon when I was at Rogers Cup with CND Canada and Revlon Canada Pro getting my hair and nails Rogers Cup-ready!) and I’m excited to try my very first tennis lesson ever this weekend. Courtside, we got to enjoy some of the delicious cocktails Bacardi is serving up at the Rogers Cup. I couldn’t find where their mojitos were being served, so I settled for the Bacardi Cuba Libre, which wasn’t settling at all because it was refreshing and delicious (and is served in this chic metal cup that made people stop me to ask what I was drinking, true story). 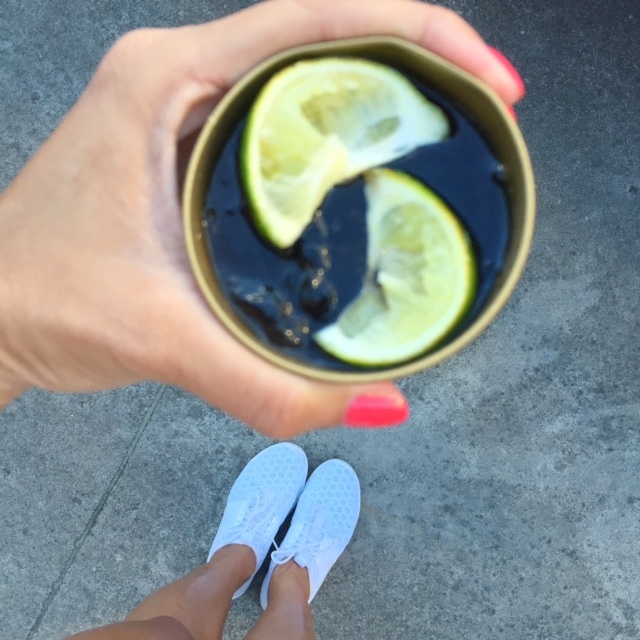 Definitely have one if you’re going to the Rogers Cup, or get into the game and quench your thirst from home by mixing up one yourself, here’s the recipe! To build this legendary cocktail, fill a highball glass with ice. Then squeeze 2 lime wedges over the ice and drop them into the glass. Pour in the BACARDÍ Gold rum, followed by chilled cola, and give it all a gentle stir.